Kaylin McFarren has received more than 40 national literary awards, in addition to a prestigious Golden Heart Award nomination for Flaherty’s Crossing - a book she and her oldest daughter, Kristina McMorris, co-authored in 2008. Prior to embarking on her writing journey and developing the popular Threads action/adventure romance series, she poured her passion for creativity into her work as the director of a fine art gallery in the Pearl District in Portland, Oregon; she also served as a governor-appointed member of the Oregon Arts Commission. When she’s not traveling or spoiling her pups and three grandsons, she enjoys giving back to her community through participation and support of various charitable and educational organizations in the Pacific Northwest, and is currently the president of the Soulful Giving Foundation - a non-profit focused on cancer research, care and treatment at hospitals throughout Oregon. Welcome Kaylin, and thank you for being with us today! Why don’t you start by telling our readers a bit about your journey to becoming a published author? I have always had a love of reading…at least as far back as I can remember. My interest in writing began at the tender age of 10, when an English teacher took an interest in my stories and encouraged me to keep a journal. Throughout high school and college, I worked on the newspaper and actually had my own column. But it wasn’t until my children were grown that I allowed myself the luxury of writing stories and submitting to publishers in New York. At one point, I was accepted by a famous, well-known firm, but then told to change everything about my book…everything that made it special. Rather than struggle to fit in with formulated fiction, I chose to spread my own wings with a small press and ultimately as a self-published author, which resulted in setting my own hours and deciding what I truly enjoy writing. What is “Twisted Threads” about? For many years, I’ve been privileged to experience remarkable things and rare opportunities while traveling the globe with my husband. This had included a vast array of transportation, ranging from private planes, helicopters, and hot air balloons to kayaks, submarines, and elegant cruise ships. 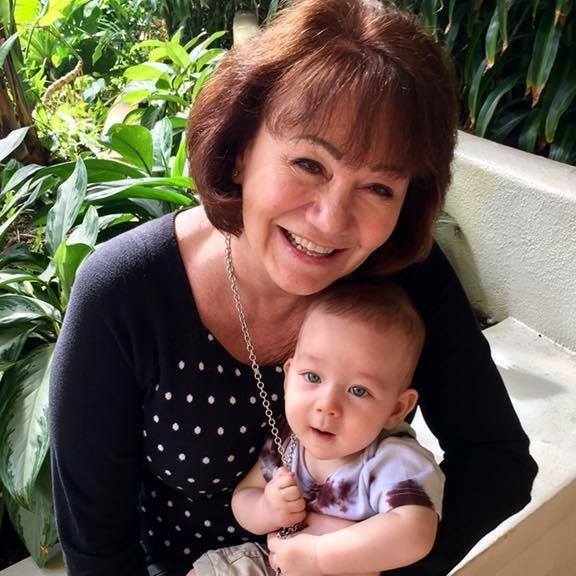 My world-travel journeys have not only allowed me to meet interesting people and discover fascinating cultures, but also to develop life-long friendships with fellow travelers and to introduce dear friends to all parts of the world. Interesting tales shared by friends, personal experiences, and extensive research have contributed to making this character-driven story possible and have inspired me to write this “twisted” tale. I honestly believe that there are small pieces of myself in every character that I create – my fears, my insecurities, my longings, and my craving for love, affection and acceptance. With that said, I find myself tangled up in the character of Devon Lyons—although he’s a self-assured man. In truth, he’s a lost soul in this complex murder-mystery story. For a number of years, he’s been struggling to find his true identity in a circle of family that is successful, strong, judgmental, and extremely opinionated. I believe this is his one opportunity to break out and discover what he’s truly made of and if he’s capable of real love. How involved was your research for “Twisted Threads”? It took me almost eighteen months to write Twisted Threads. This included the time needed to research ship disasters, interview cruise enthusiasts, reacquaint myself with characters from other books I’ve written, and edit my final manuscript, while maintaining an active lifestyle, of course. Typically, I create a visual storyboard on Pinterest, write a short summary, and simply write by the seat of my pants without a thought about how the story will end. I'm not big on storyboarding and long-term planning like other authors. For me, it’s more interesting and fun to allow my characters to develop and direct the plots of each book. I tap into my personal experiences and inner voices that yearn to be heard. I love each and every one of my characters, despite their failings and imperfections, and want readers to sympathize with their plight, heartaches and damaged lives. Everything you can imagine…but primarily thrillers and action-adventure stories. Do you believe in writing every day as a standard practice? Tell us about your writing schedule and a typical day at the desk of Kaylin McFarren. I write as a daily practice from 10am to 6pm. When it comes to creating fiction, this might involve fifteen minutes or four to five hours every day. But when I write, I’m compelled to voice the emotions buried deep within me. Years ago, I was a damaged soul, but I’ve always longed to be strong and to overcome the insignificance that I felt throughout my life. Accomplished. When I write the final words on a manuscript, I want to believe that the truth of my story is told and the buried message within the final chapter will be understood by the readers that see it. We all grow and become stronger from our experiences in life—good or bad…negative or positive—and I want to believe that my stories make a difference in their telling. I love all kinds of genres: mysteries, erotica, sci-fi, historical romance…you name it. But what I love most is current affairs told in a fictional account. That’s why I love Jodi Picoult books. She truly inspires me. Her books are controversial because they deal with real tragedies that average people don’t like to discuss but at the same time consider an unavoidable issue. Write what you’re passionate about. I understand that some stories require research and others require commitment and personal heartfelt experiences. But what I’m talking about is the need to share what your beliefs are…what you consider to be true and want others to understand more than anything in this world. Don't try to fake it, because it shows…believe me. Write with your heart on your sleeve and with your mind wide open to possibilities and you’ll touch lives that you never thought possible. Read like there’s no tomorrow. We learn from experience, whether it’s our own or someone else’s. Just trust in your talent and never stop believing that you have a gift to share. I’m currently working on a new time travel story that I’ve discussed with my husband. Strangely enough, he dreamed about this story and I want to write about it in the worst way possible. 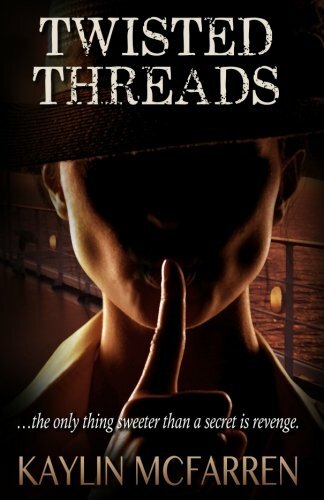 Where can readers connect with you on social media to learn more about “Twisted Threads” and your other books? If you relish stories created by an author, be sure to let them know. Your praise and support encourages them to work harder at developing new dramas, romances, murder mysteries and adventures that you’ll ultimately enjoy and they’ll feel rewarded by writing.